As bonnet strings and ribbons disappeared, hatpins came on the scene to replace them. 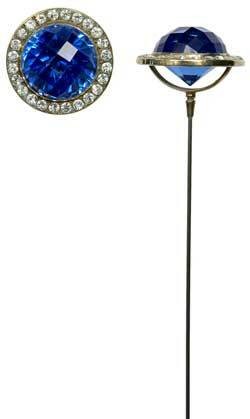 A hatpin is a very long pin designed with the purpose of securing a Lady’s hat. Similar to a stickpin, a hatpin has a decorative end that can be set with gemstones, beads and just about any motif you can dream up, while the opposite end is pointed. The big difference between them is in the length of the actual pin. Hatpins are generally longer than stickpins, sometimes exceeding twelve inches in length. These long pins occasionally found an alternate use as a weapon for self-defense or otherwise.